An exhibition across the isles – art entwines in it closely with its unique surroundings. It will consist of 20 new site-specific art works and events realised in the archipelago by international and local artists. CAA can be encountered from the cruise ships and small boats, along the roads and virtually, on a remote islet, in the sea, on the airwaves, on the ferries or even in a private home. The theme is the archipelago and its future – as a unique yet changing environment and mode of life. 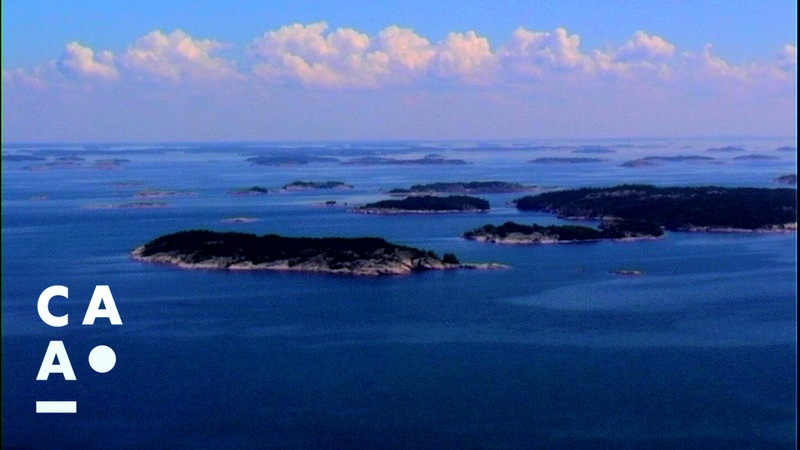 The context of the Baltic Sea is strongly present, yet CAA reflects the specificities of Turku archipelago also against other similar environments and global changes. The artists examine, for example, alternative island lifestyles and livelihoods, transformations in ecological and cultural diversity, as well as desires projected onto islands and across the sea. The art works may take the form of an island’s own currency, an alternative map on a ferry, personal stories on the changing climate, cinematic sci-fi visions of the archipelago, underwater gardening or a frail meadow of glass. More than an exhibition – artist residencies and many public events are organised alongside the exhibition. The audience can join in on guided tours and talks as well as various workshops locally. The symposium Archipelago Logic: Towards a Sustainable Future offers a platform for academic interdisciplinary debate at Åbo Akademi University. The audience can thus take part in all the stages of the exhibition project while a solid base is built for the continuity of initiated discussions and artistic activities. Cruise through Contemporary Art Archipelago: CAA organises day cruises to the exhibition in collaboration with Turku Touring. Further information on other travel options and routes, also for independent travel, available on CAA website before the opening of the exhibition.